SCADALink VPNPlug-and-Play and Easy-to-Setup secure VPN access to remote PLC/Control networks for SCADA applications. 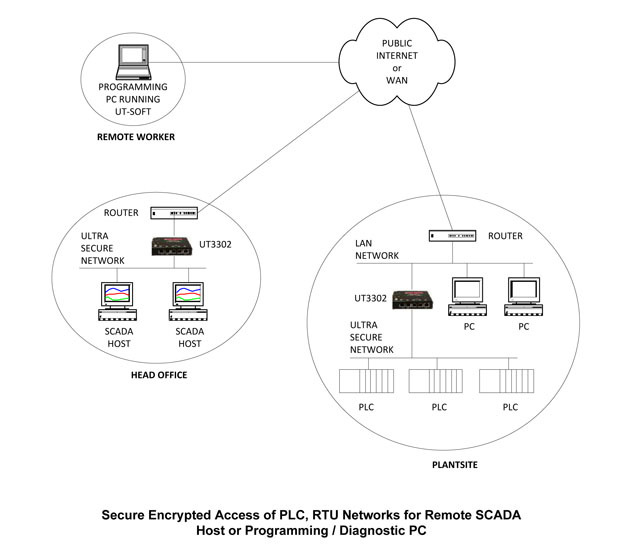 Bentek Systems provides secure VPN access to remote PLC/Control networks for purposes of SCADA data communications, commissioning, maintenance and troubleshooting. Our VPN solution can function over WAN, cellular, and satellite networks with both static and dynamic IP addresses. Bentek Systems provides end-to-end SCADA networking solutions. With over 20 years of experience, our engineers and technicians provide expertise in SCADA networking maintenance and troubleshooting. Data and voice services and rate plans for Telus and Tachyon.